Cabinets in various sizes and design are present in almost every apartment. 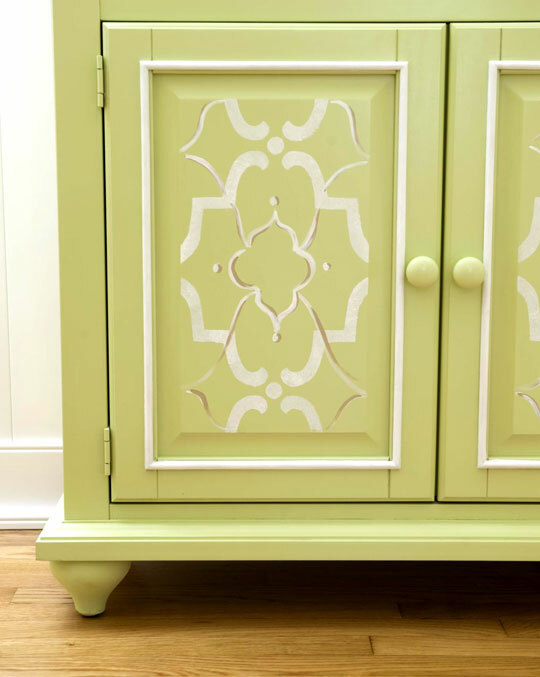 If your old but beloved wardrobe malfunction doors, it is not necessary to replace it. 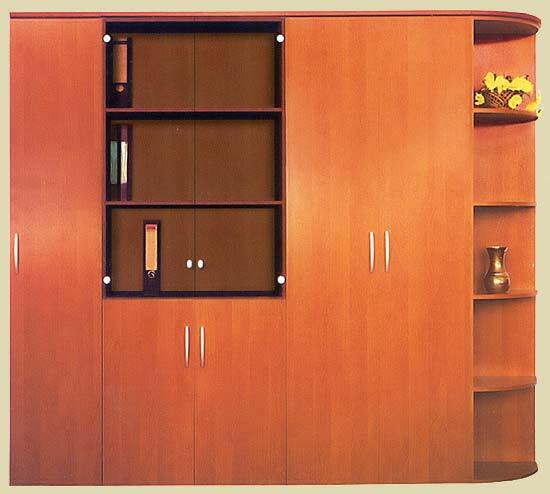 Because loose mounting hinges on cabinets made of particleboard it is possible to "patch". While searching for a suitable new door, you will probably have to sweat. And for the purse and your wardrobe will be better if you have it repaired. So, you need to rebuild the nest with wooden liners, thereby repairing the door. Form liners should be trapezoidal, and the dimensions such that the inserts themselves entirely overlaps the damaged area. Mark on the door the position of the sample under a wooden liner. To do this, attach it to the area you want to repair, and then trace the outline with a pencil. Further make a selection by lines with the help of the milling machine. If you do not, ask for help of a friend or friend who has access to it at home or at work. The stop, which limits the depth of milling must be adjusted so that thickness of the remaining wall was 1.5 mm (can be more but not less). Try on the finished liner to the sample and adjust until tight entry, if necessary. On the surface of the parts apply the adhesive, then press them with a clamp during the drying. Enclose under sponges of the clamp strap to prevent parts from warping. On the bar put a piece of paper that she stuck in the door. After the glue has dried, remove the clamp and drill a socket under the hinge with a drill Forstner. Now sand the repaired area flush with the surface, and then paint it to match the door. For the manufacture of the inserts it is best to use hardwoods such as oak, maple, ash, beech, birch and some others. Wardrobe in any economy is an essential thing. And its failure often leads to great inconvenience and even injury. Especially when it comes to faulty door Cabinet. However, armed with tools, you can easily enough on its own to cause the doors of your old Cabinet in good condition, and even upgrade their appearance. the film of polyethylene to protect furniture. Remove the hinges of the doors of the Cabinet, sand the wood. The restoration of the doors start with fixing loops. Expand a broken socket, use a drill. Mark on the drill the drilling depth by a ring of insulating tape in order to avoid resulting in too deep a hole. Drill the hole carefully, so as not to drill the door through, the resulting hole must be a diameter and a depth of about 10 mm. Make a tube out of a piece of dry wood appropriate hole size. Promazhte glue the hole and tube. Gently hammer the plug into the hole. Remove excess adhesive from the holes and leave the doors to dry for the day. Cover with plastic wrap floors and walls. It is necessary for protection from the smallest particles of varnish and frosting, which is released into the air during processing of the wooden surface. Clean the working area from dust: adhering to the lacquer dust will spoil the appearance of the product. Level the surface defects with wood putty. The puttied areas carefully apply sandpaper and clean the surface from dust using a cloth or a special brush. Proceed to the coating of surfaces with varnish. Treat the hinges and other mounting parts corrosion protection agent, and when the varnish is dry, install the hinges on the same place. During the work on the varnish maximally ventilate the area, and if luck has a particularly pungent smell – use respiratory mask. To remove from the surface of alkaline varnish manufacture a mixture containing 80% alcohol and 20 % acetone. Apply the composition to the surface, soak for a while, and then remove the loose layer of varnish with a spatula. If the layer of the old coating is significant, remove it by baking, using a Hairdryer. Susijusia varnish remove with a spatula.